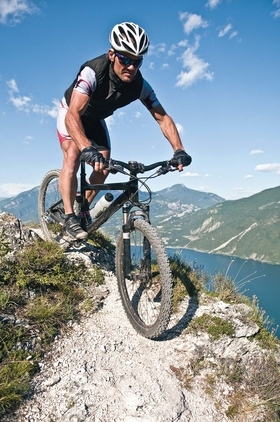 Does wearing a helmet make you more of a risk-taker? A study suggests it may. When your mother told you to wear a helmet while riding your bicycle, this probably isn’t what she meant. A recent study conducted by researchers at the University of Bath in England revealed that wearing a helmet actually increases the desire to take risks, and therefore makes helmet-wearers less safe. The study, published in January in Psychological Science, used computer-based simulation to measure sensation-seeking behavior and analyze risk-taking in adults between ages 17 and 56. Tim Gamble and Ian Walker of the university’s psychology department split 80 participants into two groups and told them that an eye-tracking experiment was being conducted; one group wore a bicycle helmet, and the other group wore a baseball cap. During the experiment, participants were asked to inflate an animated balloon that appeared on a computer screen while wearing the helmet or cap. The balloon inflations earned participants points, but if the balloon burst, all points would be lost. The participants could bank the earnings at any point, with each individual’s penchant to continue inflating the balloon tested over 30 trials. According to the researchers, the helmet-wearers took more risks, and it could mean persons using protective equipment are willing to be riskier in situations that the equipment can’t be expected to help. Past studies have revealed individuals could drive differently when wearing seat belts, but those activities and safety devices are linked, Walker said. The balloon experiment is the first to hint that a product designed for safety could increase an individual’s risk-taking in a different environment, he said.